I cook dinner on a nightly basis. Preparing meals at home is not only the most budget friendly way to feed a family – it’s far more health conscience. It’s great knowing exactly what’s going into your food and what you’re feeding your family. It’s important to keep mealtime fun and exciting. We all get in “dinner time slumps”. We’re tired, we lose inspiration and end up serving the same old, go-to meals. Sometimes it’s fun to step back, take your existing menu and switch it up. Take a look at some of your family’s favorite foods and get creative with them. Pizza. Cheeseburgers. These are all-time favorites in most homes. How about combining them? You just know this is gonna be good…! So what are we doing here? 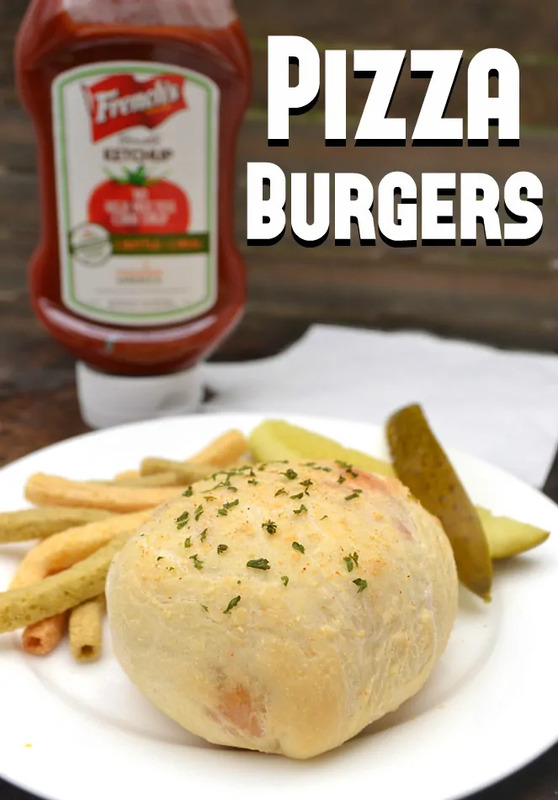 Layer cheese, ketchup, mustard, pickles, onions & a burger patty in the center of the pizza dough. Carefully wrap & pinch the dough to cover. Bake till golden brown. Pretty simple, right? Ketchup. Not all ketchup is created equal. I insist on serving a ketchup that tastes delicious and is made with REAL ingredients. That’s why I love French’s Tomato Ketchup. 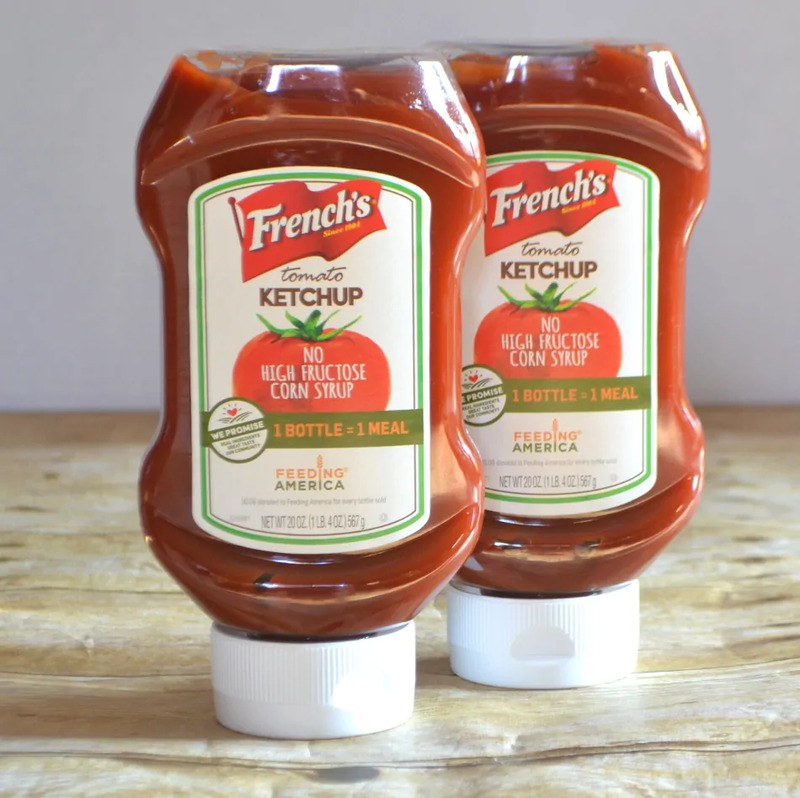 French’s Ketchup uses high quality tomatoes and real sugar – no high fructose corn syrup, preservatives, or artificial flavors and colors. French’s is proud to partner with Feeding America, a nationwide network of food banks that leads the nation in the fight against hunger. French’s partnership will provide 10 million meals in 2017. That’s something we can all feel great about! Onto pizza dough. 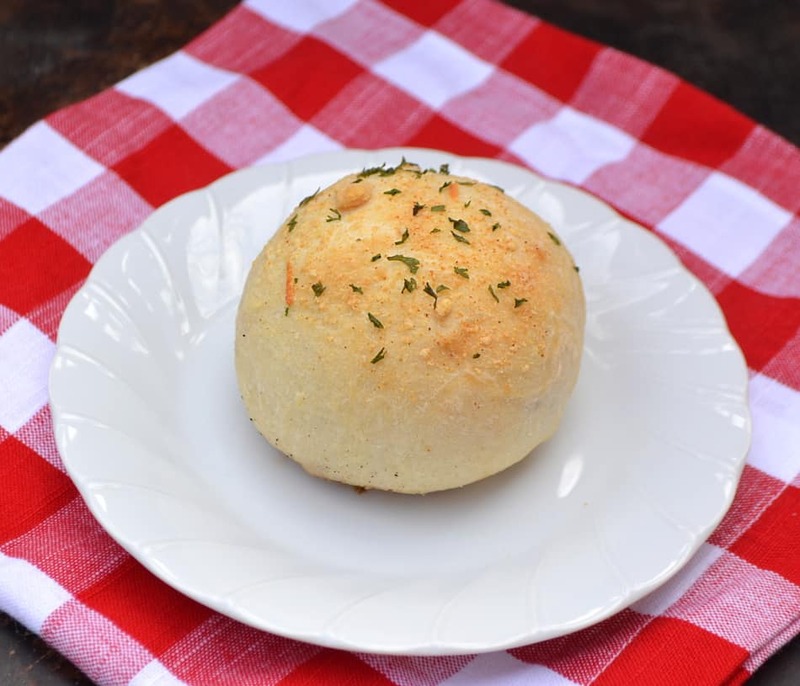 It’s one of my favorite ingredients – it’s such a versatile dough! Besides pizza, there’s so many other delicious meals you can create. 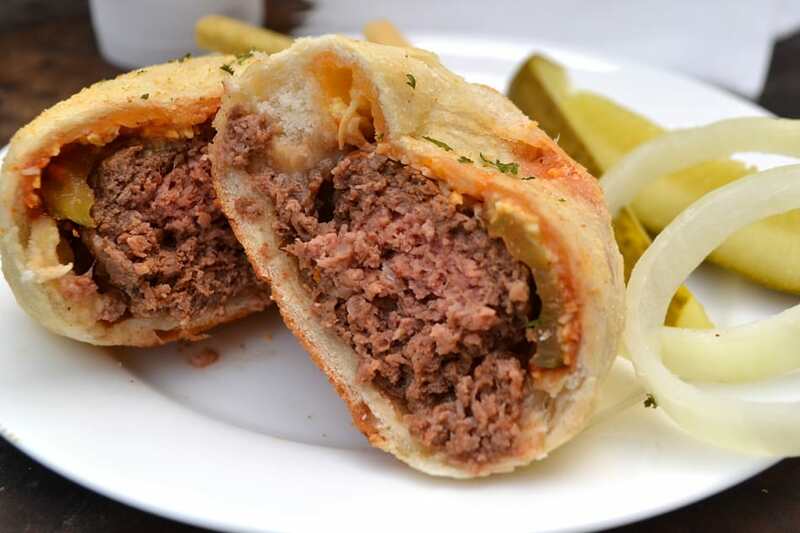 Garlic knots, pretzel sandwiches, calzones, stromboli and of course these clever Pizza Cheeseburgers. Now you can go and buy pizza dough. You’ll find it at your local grocery store or you can usually grab a chunk from your local pizzeria. This is a judgement free zone, you do what’s best for you. That being said – it’s unbelievably simple, cheap & quick to make pizza dough yourself. I made these Pizza Burgers with both store bought & homemade pizza dough in one weeks time. The homemade dough version was voted favorite from everyone. As for the burgers – they’re best homemade. Not only are they tastier & juicier – you can also size the patty to your liking. I try to make them about 2 1/2″ round so I can get everything easily wrapped up in the dough deliciousness. So liven up your mealtime menus and get some fun & exciting new foods in your dinner rotation! Thanks for stopping by! Happy Cooking! What are your ideas for fun new meals? 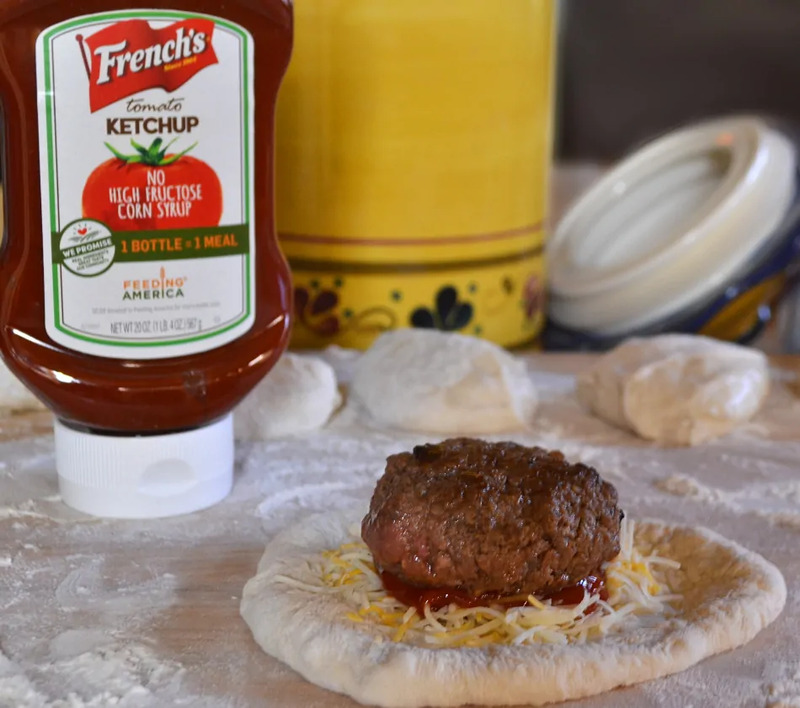 Visit here to find awesome recipe inspiration & ideas with French’s! Check out more videos from French’s! 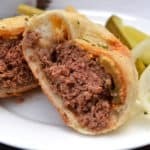 Pizza Burgers aka Mini Cheeseburger Stromboli. Combine two family favorite foods for a fun, easy & delicious dinner! Recipe for pizza dough to follow. 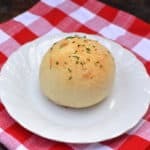 Roll beef mixture into 6 even size balls. Pat/shape into patties, about 2 1/2" round. Cook burgers your preferred method and to just below your preferred temp. I cooked mine on a cast iron skillet to about medium rare - they will continue to cook a bit when in oven. Let cool down a little before assembling pizza burger. Preheat oven to 400°F. Dust a nonstick cookie sheet with a bit of cornmeal or flour. On a floured surface, cut pizza dough into 6 even portions. Let dough rest for 10 minutes. Shape dough into rounds, just about double the size of the burger. Make sure the dough rounds are of even thickness - you don't want the centers too thin. If the dough is springing back too much, let it rest at room temp for a few more minutes. If dough is too sticky, dust hands with flour. Place cheese (slices or 2-3 tablespoon shredded) in center of dough. Squirt ketchup & mustard on cheese. Place a few pickle or onion slices on next. Finish with burger. 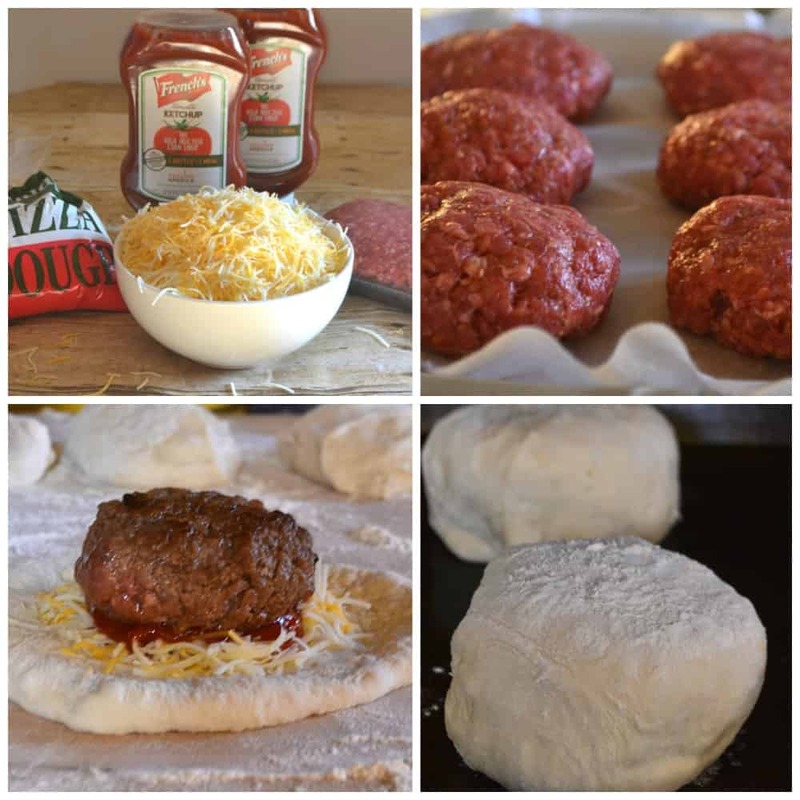 Carefully fold, pinch and pull dough to cover burger and sides. Make sure dough is covering all areas. Place wrapped burger on cookie sheet, seam side down. Repeat with remainder of ingredients. Brush tops with melted butter and sprinkle with garlic powder, parmesan cheese and parsley. Bake for 14 - 18 minutes until tops are light golden brown. Let burgers rest for a few minutes, serve & enjoy. This makes about 1 pound of foolproof, delicious pizza dough. You can easily double or triple this recipe and refrigerate or freeze dough for a later time. I use a stand mixer for this recipe, but you can just as easily do this by hand. Dissolve yeast in warm water. I combine the two in my stand mixer and mix with dough hook until dissolved. Add in flour, salt and sugar. Using mixer & dough hook knead for about 5 minutes. Dough should be smooth and elastic and not overly sticky. If kneading by hand - knead dough for about 5-8 minutes. Place dough in a large greased bowl. Cover with a kitchen towel and let rise in a warm, draft free spot for about an hour and a half. The dough should almost double in size. Use immediately or refrigerate until needed. 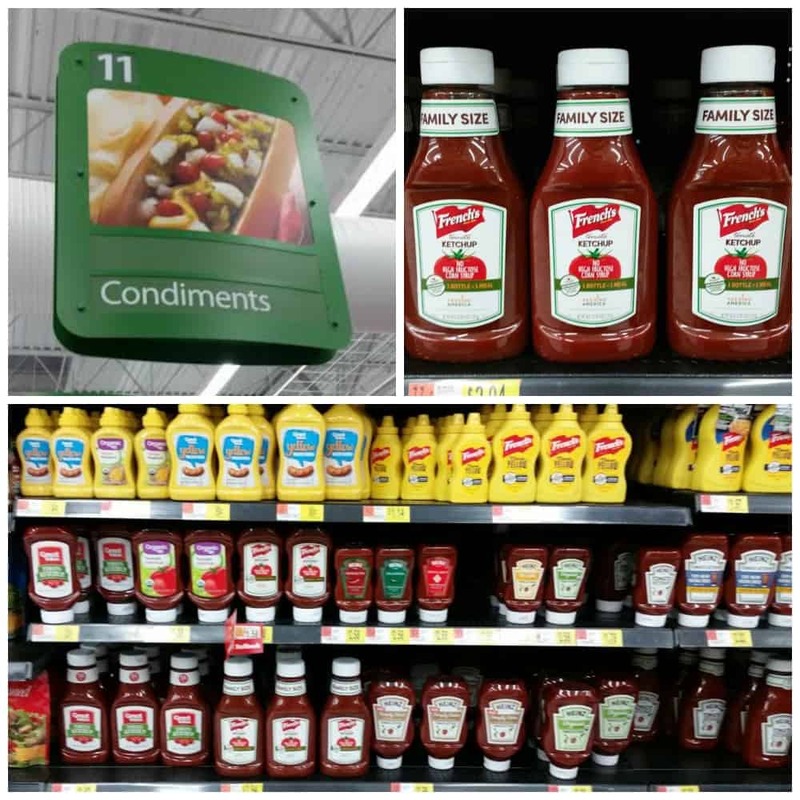 I found French’s Tomato Ketchup and everything I needed to create my fun dinnertime deliciousness at my local Walmart store! 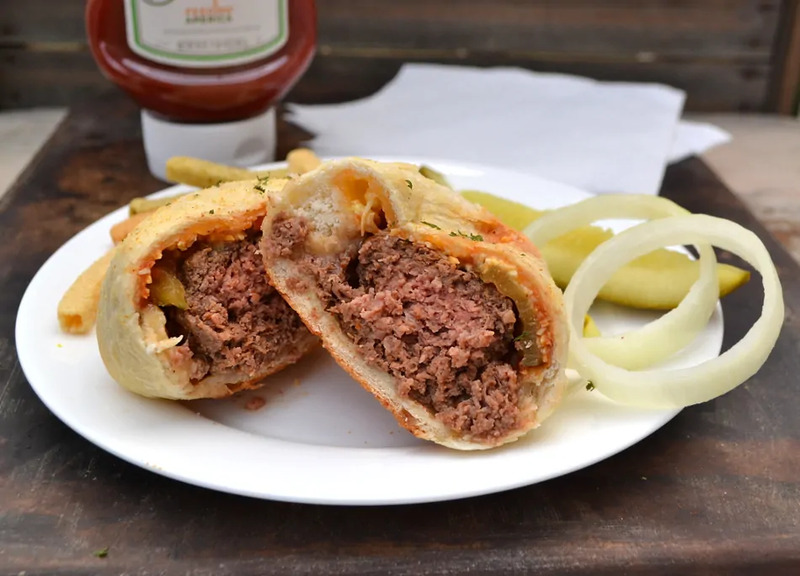 Cheeseburger mini Stromboli… Ingenious! What a fantastic dinner idea, I’m definitely bookmarking this page and making this for my family later this week! What a fantastic dinner, Amanda!! Pizza burger sure sounds delish to me. I want to try this with my GF pizza dough. YUM! I know these will be a big hit in this household. Thanks. How fun are these?!?! My family would flip for these. PINNING! OK I love these – they are super fun and looks so yummy! Perfect for kids, too.